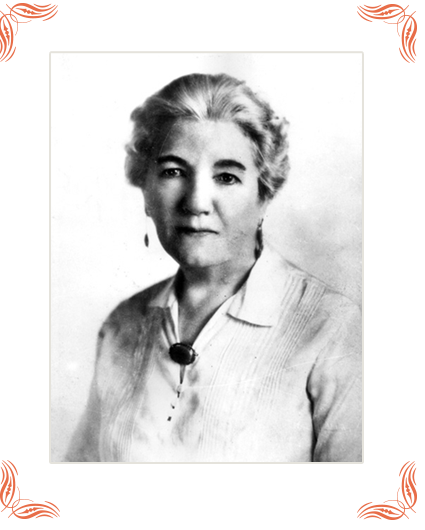 Laura Ingalls Wilder was born in the Big Woods of Wisconsin on February 7, 1867, to Charles Ingalls and his wife, Caroline. When Laura was still a baby, Pa and Ma decided to move to a farm near Keytesville, Missouri, and the family lived there about a year. Then they moved to land on the prairie south of Independence, Kansas. After two years in their little house on the prairie, the Ingallses went back to the Big Woods to live in the same house they had left three years earlier. This time the family stayed in the Big Woods for three years. These were the years that Laura wrote about in her first book, Little House in the Big Woods. In the winter of 1874, when Laura was seven, Ma and Pa decided to move west to Minnesota. They found a beautiful farm near Walnut Grove, on the banks of Plum Creek. The next two years were hard ones for the Ingallses. Swarms of grasshoppers devoured all the crops in the area, and Ma and Pa could not pay off all their debts. The family decided they could no longer keep the farm on Plum Creek, so they moved to Burr Oak, Iowa. After a year in Iowa, the family returned to Walnut Grove again, and Pa built a house in town and started a butcher shop. Laura was ten years old by then, and she helped earn money for the family by working in the dining room of the hotel in Walnut Grove, babysitting, and running errands. The family moved only once more to the little town of De Smet in Dakota Territory. Laura was now twelve and had lived in at least twelve little houses. Laura grew into a young lady in De Smet, and met her husband, Almanzo Wilder, there. Laura and Almanzo were married in 1885, and their daughter, Rose, was born in December 1886. By the spring of 1890, Laura and Almanzo had endured too many hardships to continue farming in South Dakota. Their house had burned down in 1889, and their second child, a boy, had died before he was a month old. First, Laura, Almanzo, and Rose went east to Spring Valley, Minnesota, to live with Almanzo’s family. About a year later they moved south to Florida. But Laura did not like Florida, and the family returned to De Smet. In 1894, Laura, Almanzo, and Rose left De Smet for good and settled in Mansfield, Missouri. When Laura was in her fifties, she began to write down her memories of her childhood, and in 1932, when Laura was 65 years old, Little House in the Big Woods was published. It was an immediate success, and Laura was asked to write more book about her life on the frontier. Laura died on February 10, 1957, three days after her ninetieth birthday, but interest in the Little House books continued to grow. Since their first publication so many years ago, the Little House books have been read by millions of readers all over the world.